A slightly confusing set of mooring signs at the Dudley CRT Facilities. The was room for two boats just beyond the bridge. At one end it stated 48 hours and at the other 24 hours. We had the 48 hour end. Here we are, front left with the tunnel in the distance. 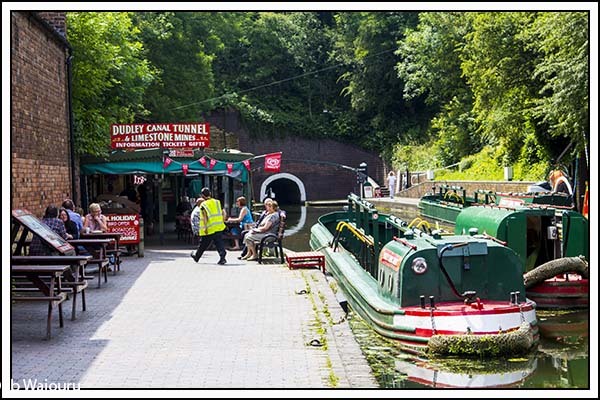 We wandered down to the shop and tea rooms in time to see one of the Dudley Canal trust boats exiting from the tunnel. The photos are in the correct sequence. 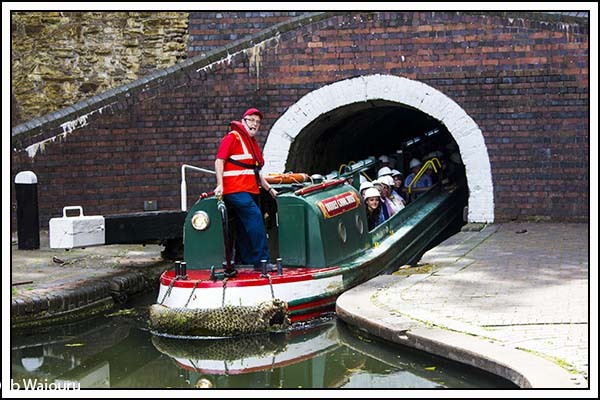 The boat was reversing out of the tunnel. 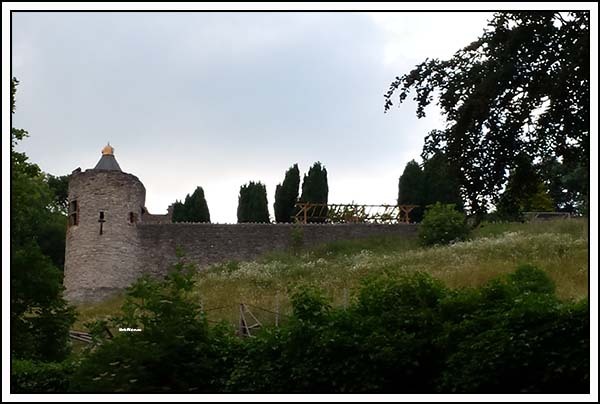 In the evening I went for a walk with the intention of circumnavigating Dudley Castle. Actually I was going to walk up to the castle in the hope I might get some panoramic photos of the area. Unfortunately two problems arose. First, I forgot the battery for the camera was on charge which forced me to use the phone camera. The second problem was the castle is also the zoo. Discretion being the better part of valour I decided against climbing any fences or walls! It appeared Dudley Tunnel might go directly under the castle and I did wonder if the tunnel builders managed to avoid the castle ‘long drop’? A subsequent check of the map showed the tunnel alignment is slightly north of the castle. On the far side of the castle is what appeared to be a brick arch road bridge over a railway cutting. 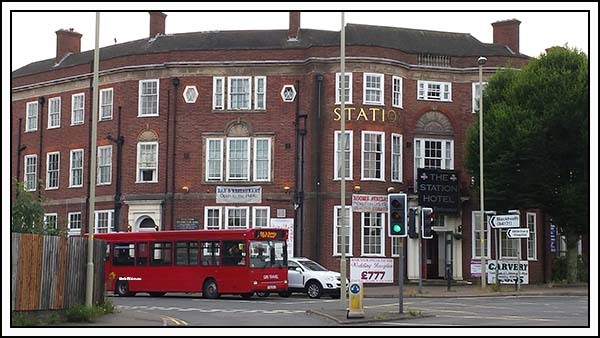 On the opposite corner stood the following building. Nothing but trees and vegetation could be seen when peering over the side of the bridge and into the cutting. I assumed it must have been part of Beeching’s (right name?) cuts! Whilst looking around the area I noticed another austere Victorian grey brick building which might have come directly from Hogswarts except it had two large white light bulbs on adjacent towers giving it a very odd appearance. It wasn’t until I took a second look that I noticed the sign to the left and everything became apparent. 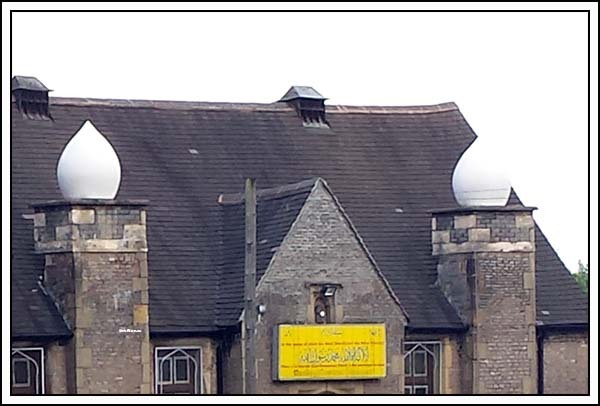 Dudley Central Mosque. Not quite what I’m used to seeing! Heading back to the boat I passed the main entrance to the Black Country Living Museum. 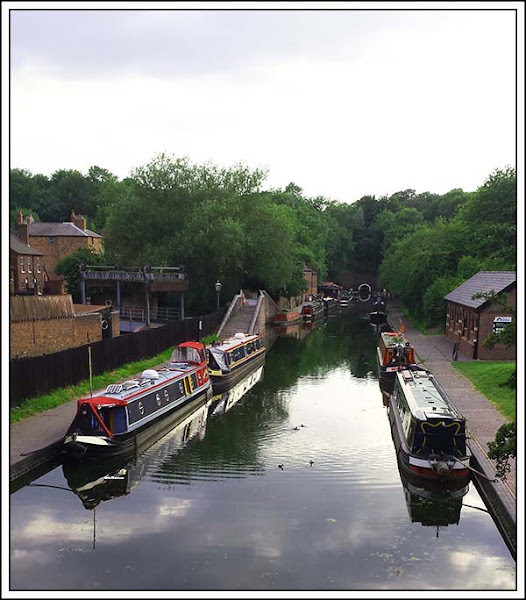 I found this slightly confusing as it was possible to see into the museum area from the Dudley Canal Trust. 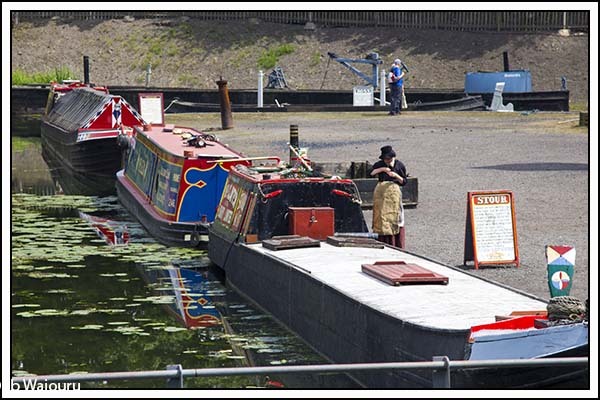 you can even gain access to the museum from the Canal Trust area. Initially I thought they were the same organisation, but obviously they are not. 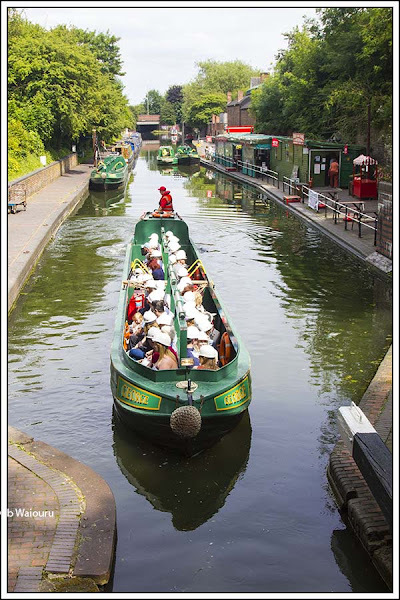 My confusion is probably not surprising when you can look from the Trust area and see canal boats in the museum. The fact that there were groups of school children going between the two separate entities didn’t help! There’s a large Tesco Express 15-20 minutes walk up the road (walking south on the A1423) from the moorings. There’s also a Screwfix just before Tesco. Blog reader Richard and his dog Sadie from nb Pendle Warter introduced themselves and then the steerer of nb Rosalan called out that he also reads this rubbish. We have a weekend meeting in Birmingham and will have to slowly start making our way back tomorrow! Dudley Council own both attractions. The BCLM is run at arms length by an independent company while the DCT runs the Tunnel Trips. 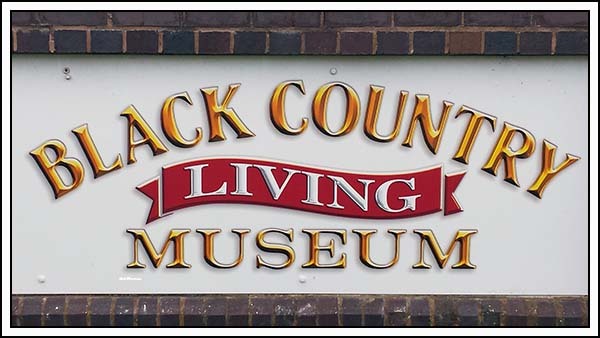 I rarely go to museums but I've been to BCLM twice, and would go again. Make sure you Google for discount vouchers before you go.